NASCANS is the student care brand under Global EduHub, one of Singapore’s top private education groups which provides infant care, childcare, student care, enrichment and educational publishing services across 4 different countries. 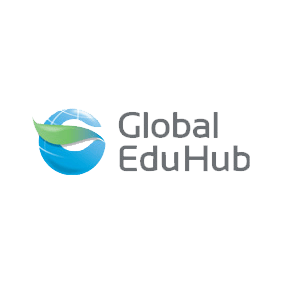 With over 45 centres in Singapore and 22 years of experience in the education industry, Global EduHub promises to ensure delivery of effective and meaningful lessons for all students under its care. Nurture Craft is the R&D divison of Global EduHub and it develops the curriculum for NASCANS. Since 2000, Nurture Craft has spearheaded the development of modern pedagogies and teaching methods to allow students to adapt to a fast-changing and demanding world. To aid NASCANS students through a world of complexity and uncertainty, Nurture Craft incorporates the “Habits of Mind” developed by Professor Arthur Costa and “Mind Mapping” techniques developed by Tony Buzan, amongst others. To help each child develop positive and healthy thinking habits and leadership skills, and to build strength of character through structured and fun learning activities. To be the ‘third place’ between school and home, where quests for knowledge unfold and learning begins. We believe that every child should enjoy learning. We also believe that every child deserves to discover and develop their innate talents. Though the infusion of interactive elements into lessons, as well as plenty of encouragement and fun activities, we aim to make learning fun and meaningful. With this, we hope to awaken an unquenchable thirst for knowledge in our students that will accompany them well into their old age. We believe that healthy, intelligent thinking helps children to solve problems better and be better-behaved. The inclusion of opportunities to encourage critical thinking in our programs and teaching children how to think creatively as a key component of lessons will help students to develop useful skills for the real world. The strength of a student’s character is a strong determinant in the success of a child’s life, and we at NASCANS are aware of this vital fact. We thus hold this value close to our heart and take great effort integrating character education into our program. We believe that every child has a powerful role to play in their community. Thus, raising children who are compassionate and able think for others is paramount to us. Inculcating this deep sense of responsibility and care begins in a child’s important formative years, and our emphasis on these traits in our program will help to form the basis for them to persist even as our students mature.